The golden sands and sparkling waters of Pasikuda provide a backdrop on your wedding day that will forever be etched in your memory. Our expert team provides exquisite touches to enhance your special day. 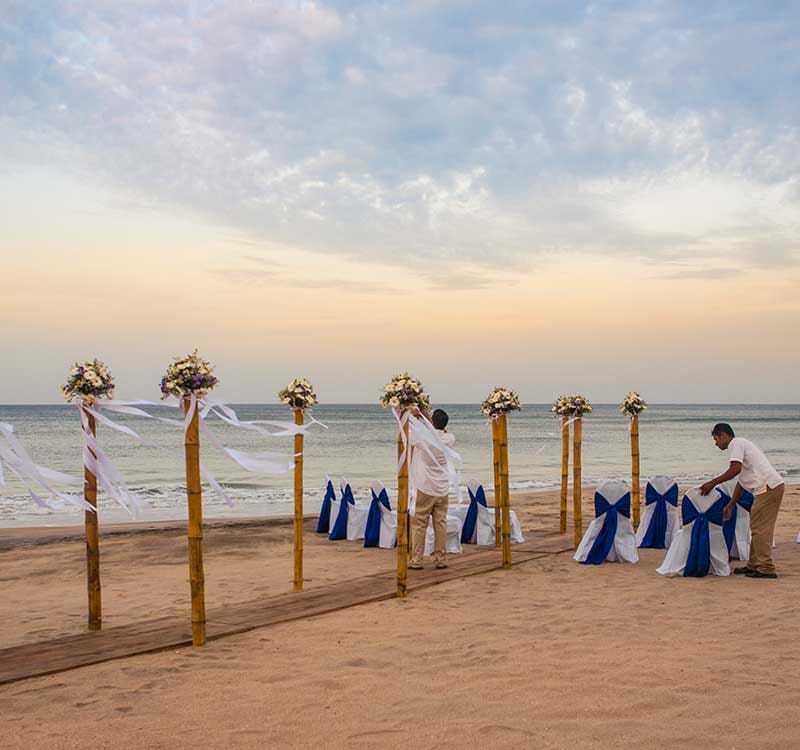 Whether an intimate private ceremony or a hearty celebration with friends and family, our team is equipped to provide you the best toes-in-the-sand Sri Lankan destination wedding you can imagine.